Is the babysitter prepared to handle major emergencies? As a teen I sat through an 8 hour class a couple times one month to get CPR training, understand how to Heimlich Maneuver was performed, and to get basic understanding on how to handle emergencies as a babysitter. In fact, the kids I cared for regularly knew that I had my own bag that would stay by my side at all times. In it was not only an activity or two, but also a first aid kit and a phone. Both so that I didn’t have to scramble trying to find emergency supplies if something horribly tragic happened. Find our parents’ guide to hiring a babysitter here. Now with my own children I know this level of prep isn’t the norm. No one wants to think the worst will happen when they are not with their children, but the fact is it sometimes does. 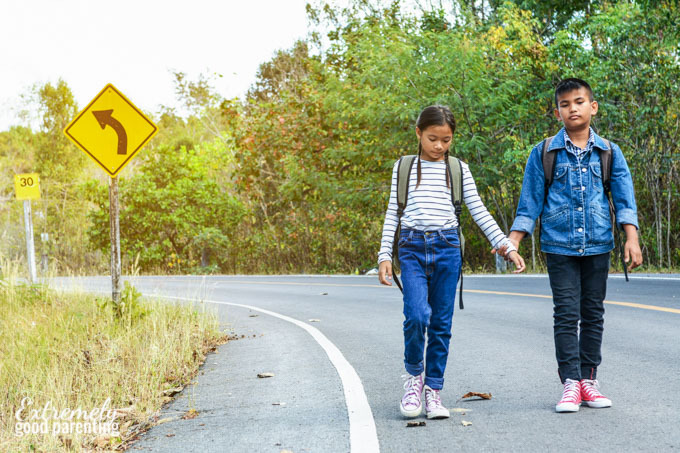 Accidents, fires, natural disasters such as earthquakes or tornados – they could happen while your child is under the care of someone else. When you leave your child with a babysitter, you should feel confident that the babysitter will know how to respond if something bad happens. 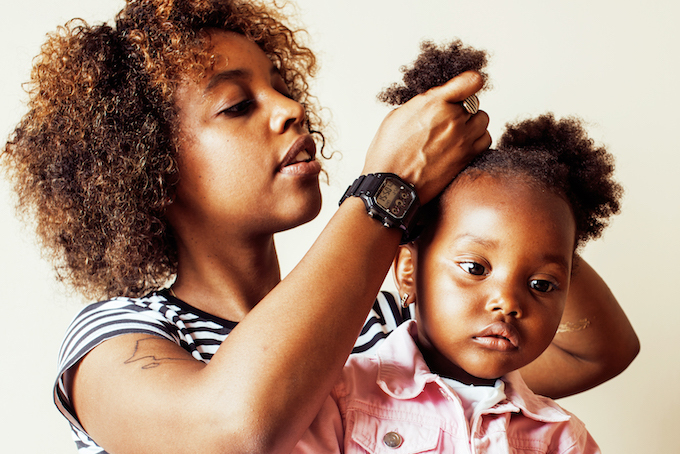 Here are some ways you can prepare your babysitter for emergencies. In minor accidents, such as a scraped knee or busted lip, the only thing needed is a well-stocked first aid kit. Have a large enough box to hold the basics such as bandaids and Neosporin, as well as items not generally thought of. You can include gauze pads, alcohol wipes, medical tape, tweezers, scissors, an instant cold pack. Where do you keep the First Aid kit? If it’s a medicine cabinet or cupboard, be sure to show the babysitter where it is and how to access it (if it’s locked or out of reach of the children). Have an ice pack or two in the freezer, and show your babysitter where to find it if she needs it. You can get a small, cute one usually at the dollar store – they have them in shapes such as ladybugs and footballs, and they’re the perfect size for small boo-boos. 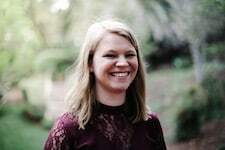 If your babysitter hasn’t been trained in first aid techniques, CPR or rescue breathing, it’s a good idea to find a way for them receive training. Many teenagers have had CPR and rescue breathing training in high school. If they haven’t, ask them if they’d consider taking a course at the local hospital or Red Cross center. If they can’t afford the training, buy it for them. It’s that important and can save your child’s life in an emergency. At the very least, have a small informative book that explains how to perform first aid and CPR/rescue breathing handy for the babysitter to access in an emergency. Leave it in a prominent place and encourage him/her to read it while you’re out to familiarize themselves with the steps. You may need to provide your babysitter with information about your child’s specific needs. If your child has special medical, health, or behavioral needs, the babysitter may not be acquainted with them. You would not want them unprepared or unaware of any issues that could arise, so prepare them in advance. Provide your babysitter clear, written instructions describing your child’s medical diagnosis or other health concerns. Food allergies should be explained in detail as well as what to do if a reaction to food occurs, for instance. If your child has a medical condition such as asthma or seizures, take some time to discuss what happens, and how to react. In addition to verbal explanation and written instructions, role-playing and acting out the possible scenarios is a good idea. Some children have special needs. If you child has a behavioral or developmental condition, you must share that with the babysitter. 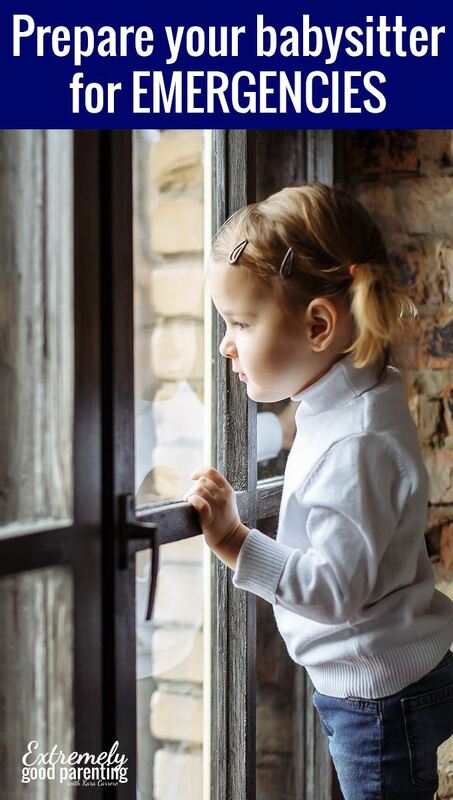 Even if undiagnosed, let the babysitter know that you suspect certain issues to arise. If he/she is prepared for them, then the reaction time will be shorter and the ability to recognize and deal with an issue will be much easier for them. Things like fires, tornadoes, earthquakes and other disasters don’t occur very often, but what if they did while your babysitter was with your children? Would he/she be able to calmly and effectively get your children to safety? If you have a fire exit plan for your home, go over it with your babysitter. Show them all the exits to your house and make sure he/she can access them and open them quickly if needed. Show them where the fire extinguisher is, so they will be equipped in a small fire. Also, be sure to test your smoke detectors regularly. Do tornados, hurricanes, or earthquakes happen in your area? Be aware of the weather patterns and forecasts, and have an emergency plan in place for natural disasters. Teach the babysitter what to do in a natural disaster and practice it with your children and the babysitter. Preparedness is the most important factor in safety during such events. Make sure the safe areas of your home are tidy and ready at any time. In an emergency, the babysitter should be able to call for help quickly and easily. Make sure he/she knows the resources available to them. Of course, it’s common sense to provide them with information about how to reach you. Give them ALL your numbers – cell phone numbers, landlines, and the numbers to the locations where you will be while you’re out. If you have an emergency contact such as a neighbor or relative, give them that person’s numbers as well. If your home has an alarm system with a panic button, make sure you show the babysitter how to use it. Show your babysitter where the keys to the car are located, and how to use the child seats within the car. If he/she needed to leave the house quickly, they would be capable and not hesitate. Also share the location of an extra set of house keys with your babysitter. If he/she needed to leave the house, then they can lock up first! During a crisis, your children can panic or can become distraught. Tell your babysitter the things that he/she can do that typically calm your child. Does your child have a favorite stuffed animal, toy or blanket that provides him/her comfort? Tell the babysitter what it looks like and where to find it. If your child is able to hold or snuggle a familiar object in an emergency, it could help tremendously. Does singing a certain song, or rocking/cradling your child calm him/her? Teach the babysitter how to do it. Anything that will distract your child and keep him/her calm in an emergency will make things easier for your child as well as the babysitter. Make sure your children are safe and in the best care during a natural disaster, medical emergency, accident, or fire. Prepare your babysitter in advance with these simple reminders. 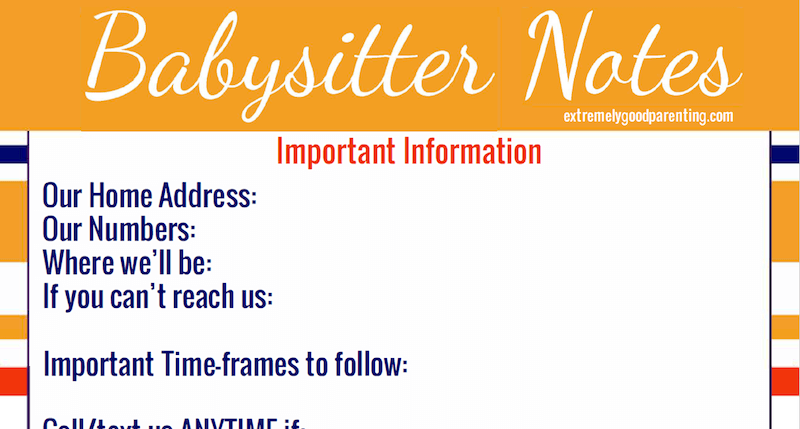 Be sure to grab our free babysitter notes printable. Here is partial preview, signup below! Yes, please send me the free babysitter printables!